A new study found that the belief that e-cigarettes are safer is becoming less prevalent every day. In one, the percentage fell 16 points – from 51 to 35%. In the other, the difference was smaller but still significant, dropping from 39 to 34% over the period. These changes in attitude, "may deter some adult smokers from switching to e-cigarettes," said lead researcher Jidong Huang. He's associate professor of health management and policy at Georgia State University in Atlanta. The study findings were published online in JAMA Network Open. In 2012, 46% of respondents to the Health Information National Trends Surveys said e-cigarettes were as harmful as regular cigarettes, and that number rose to 56% in 2017. Over the same period, the number who considered e-cigarettes more harmful than regular cigarettes jumped from 3% to 10%. Results were similar among participants in the Tobacco Products and Risk Perceptions Surveys. The percentage who considered e-cigarettes as bad as regular cigarettes rose from 12% in 2012 to 36% in 2017, and those who considered them more harmful rose from 1% to 4%. Sward said there is "no safe and effective e-cigarette in terms of helping people quit." The vapour in e-cigarettes contains toxins and carcinogens that are unsafe, she noted. 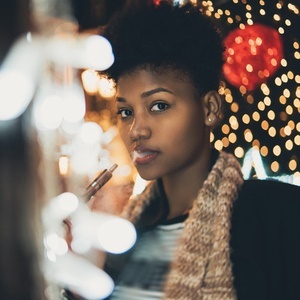 Sward suggested that smokers who want to quit look instead to treatments that the US Food and Drug Administration has found to be safe and effective.